At times when terrorism, nationalism and racism grow again trying to divide us it is extremely important to stick together. Only together are we at our strongest and able to continue our fight against all forms of discrimination and towards equality, diversity and freedom. 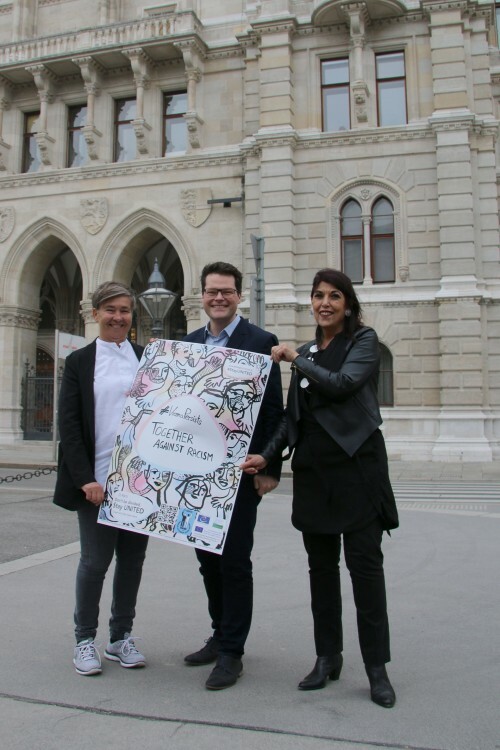 Participating in the Week Against Racism Vienna is commiting itself to persist in its fight against Racism and showing solidarity with all fellow European cities.